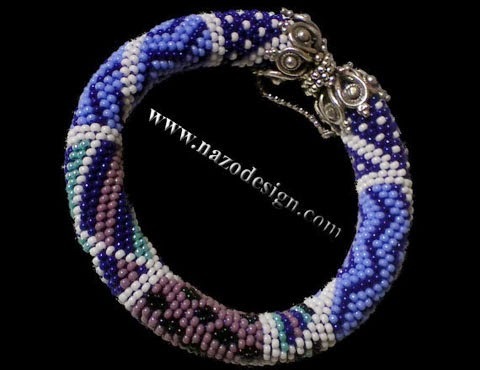 The pattern includes 15 beads in each row and I used 1350 beads to make the whole bracelet. The bracelet was woven around a piece of leather. I used cotton thread which makes the bracelet very soft. The custom casted metal findings and leather are complementary to the bracelet color.